Over the last year, author Melissa Milne asked thousands of women how they feel about their bodies, weight, food, and self-image. The answers were shocking: more than 80 percent feel guilty after a meal nearly 60 percent have dieted down a dress size to please a man almost two-thirds say they have been body-shamed by another woman,and 50 percent would rather be skinnier than happier or smarter. These women are sick and tired of feeling bad while trying to lose weight. And Milne has the solution: Don't be perfect,just be Naughty. 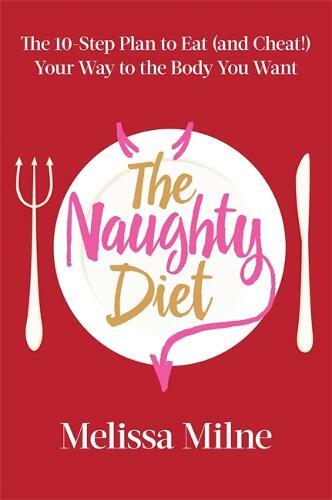 The Naughty Diet says screw guilt and pass the wine. Every chapter is built around a series of Naughty Steps,science-based, life-tested, attitude-adjusted approaches to food, exercise, and life management,each informed by the country's top doctors and nutritionists. Following this plan, you'll learn how to effortlessly embrace principles of healthy living, as well as pleasurable eating, changing the way you think about food, and yourself. Far from telling you what you have to do, The Naughty Diet instead frees you to live life to the fullest without shame, guilt, fear, or confusion. By doing so, you'll also allow for indulgences, including chocolate, wine, bread, and cheese, along with more than 40 deliciously nutritious recipes inside the book. Now balanced, the guilt,and the pounds,will melt away.